Known as “remotely piloted aircraft” or “RPAs” in military parlance, drones may well have a coming out party at this years 75th Sturgis rally. Ellsworth Air Force Base is located approximately 10 miles northeast of Rapid City, South Dakota and about 30 miles from Sturgis. 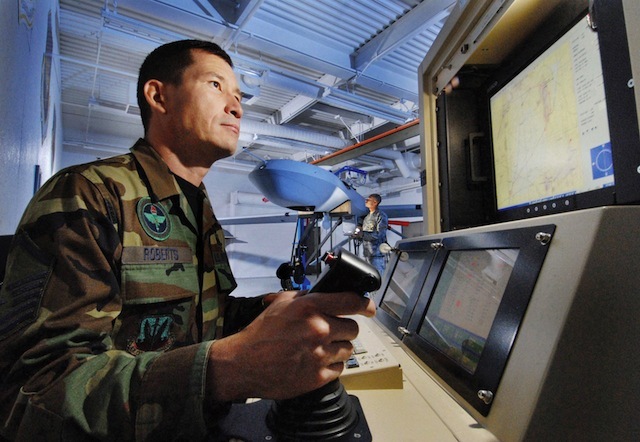 The 432nd Attack Squadron has 195 personnel dedicated to piloting drones to conduct surveillance. It’s primarily focused on flying in foreign countries, but there are many different drones in the Air Force’s inventory and the question about use as a law enforcement tool during the Sturgis motorcycle rally was recently floated. I’m talking about something less threatening than the MQ-9 Reaper in the Sturgis sky, but something that will include live-feed video cameras, heat sensors and radar. Advocates claim they can be used to quickly respond and solve medical problems, help untangle vandalism incidents, protect the hundreds of thousands of dollars of cash that transact each night with vendors, catch illegal behavior, and provide documentation for law enforcement. Is 2015 the year of aerial drone surveillance during the Sturgis Rally? Well consider the fact that Arial land survey by drone is already in process in South Dakota. 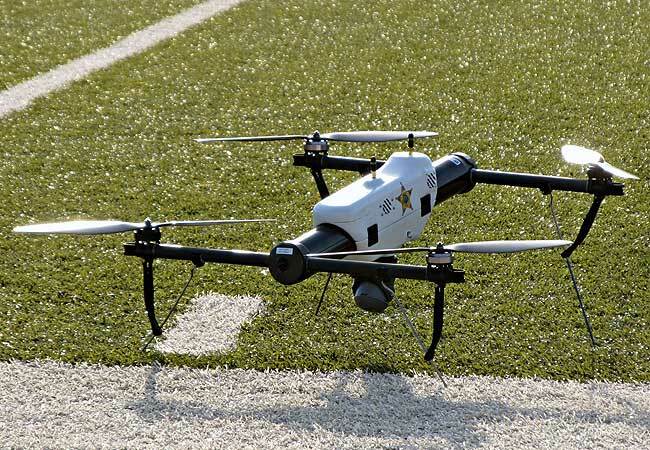 The South Dakota School of Mines & Technology is training students to use drones for rescue and hostage situations and South Dakota currently has no Unmanned Aircraft Systems (UAS) Legislation preventing the skies from being used for drone flight. And then if you look just across the state border to North Dakota, a family was arrested with the assistance of a Predator drone. Rodney Brossart was sentenced to three years in prison, of which all but six months was suspended, for a June 2011 incident in which police attempted to arrest him over his failure to return three cows from a neighboring farm that had strayed on to his property. 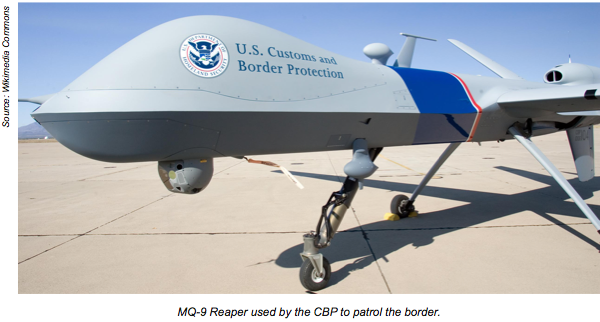 Mr. Brossart’s sons were located by a border-surveillance Predator borrowed from Customs and Border Patrol (CBP), which enabled local police to safely apprehend them, according to local newspapers or as reported by the LA Times. Between 2005 and 2012, the amount in contracts the federal government awarded for drones: at least $12 billion. Number of companies that are now in the drone business: more than 1,000. Number of private-sector and government requests to fly drones that the Federal Aviation Administration (FAA) has approved since 2007: 1,428. 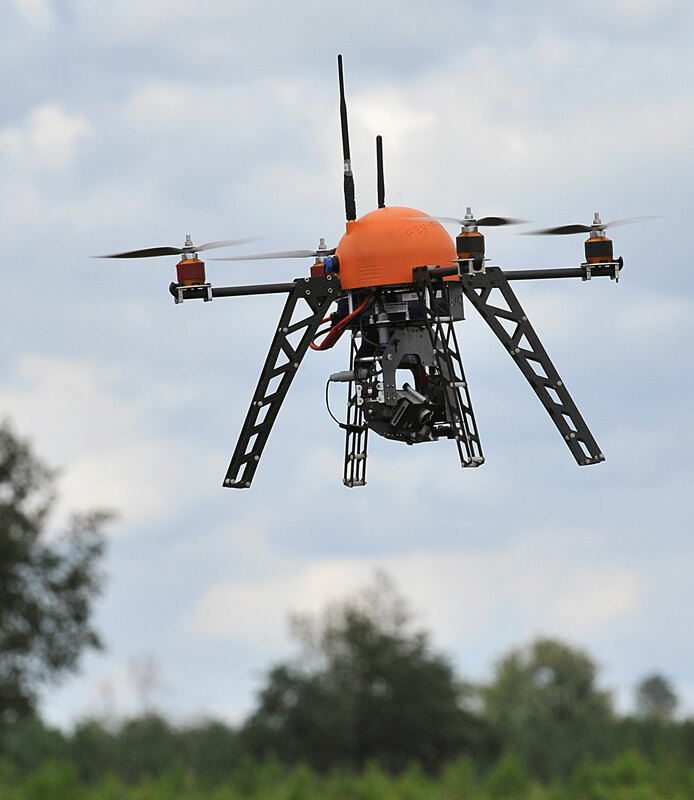 Number of police departments that have asked the FAA for permits to fly drones: 12. Number of commercial drones that the FAA predicts will be flying in domestic airspace by 2017: 10,000. The question of whether aerial surveillance requires a warrant is ambiguous, with some court rulings ­including a 1986 Supreme Court decision ­allowing warrantless surveillance, while other rulings have found it to be unconstitutional. There was a time when aerial surveillance was so expensive that privacy was a minor issue. But now drones are relatively cheap and can be equipped with sophisticated sensors, so they can vacuum up large amounts of camera imagery and other data, in the same way that advances in computers and communications enable the NSA to collect huge amounts of data from telephones and the Internet. 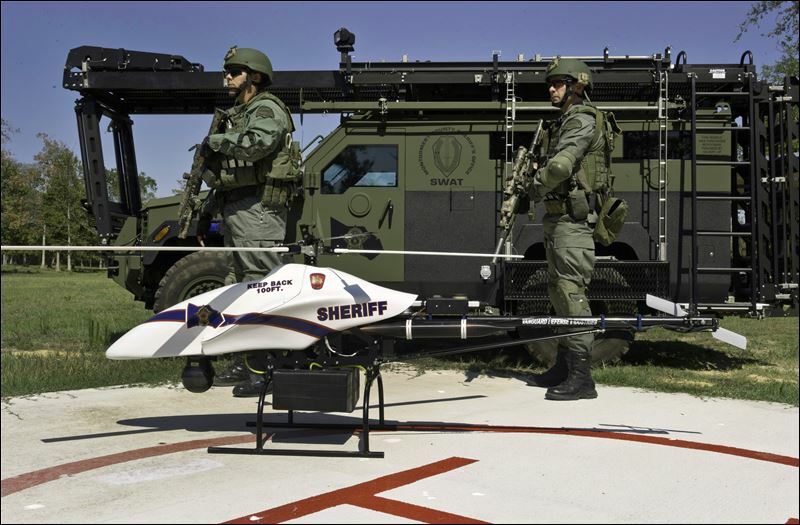 Law enforcement will clearly advocate that drones support most all of the “unobjectionable” police raids. However, how long will it be before networks of linked drones and computers “gain the ability to automatically track multiple motorcycles and bodies as they move around a city,” much as the cell phone network hands calls from one tower to the next. The authorities would then combine drone video and cell phone tracking to build up databases of people’s routine comings and goings—databases they can then mine for suspicious behavior. And here I thought states using federal highway safety grants to fund discriminatory Motorcycle-only checkpoints was government over reach. Most people who ride and stay in Sturgis know they are being financially exploited and that today’s “hard-core” Sturgis rider is grayer, and is much better behaved. None of this is new. What is new, is the potential use of drone surveillance which is teetering on a privacy razor’s edge. Note: Oregon’s HB 2710 defines a drone as an unmanned flying machine, not including model aircraft. The law allows a law enforcement agency to operate a drone if it has a warrant and for enumerated exceptions including for training purposes. It also requires that a drone operated by a public body be registered with the Oregon Department of Aviation (DOA), which shall keep a registry of drones operated by public bodies. The law grants the DOA rulemaking authority to implement these provisions. It also creates new crimes and civil penalties for mounting weapons on drones and interfering with or gaining unauthorized access to public drones. Under certain conditions a landowner can bring an action against someone flying a drone lower than 400 feet over their property. In addition, Oregon was chosen as one of six UAS test sites by the FAA. More UAS information HERE.